In general over the years, people have regarded obesity as a problem of the patient — it’s their responsibility for becoming obese and it’s their responsibility to become lean again, as if that works. People who have established obesity will need treatments. They will need care to get out of that. Unless we wake up to that fact and understand and research what is at the heart of that problem, we’re not going to have an answer. Zafgen is developing a new treatment for obesity — beloranib — with a more narrow focus than some of the other new agents recently or soon to be introduced for obesity. Instead of seeking a broad indication for anyone with a BMI over 30, Zafgen is studying beloranib for people with severe forms of obesity. In both Europe and the U.S. Zafgen has been granted orphan drug status for beloranib in Prader-Willi Syndrome. They are studying it in other severe forms of obesity as well. This more targeted approach lines up nicely with an emerging consensus that obesity is an extremely heterogeneous condition. Perhaps by developing more tailored therapies, more successful outcomes will be possible. One-size-fits-all obesity treatment has outlived its uselessness. Click here for more from CNBC about Zafgen and here for more from ConscienHealth. Ted, agree with your conclusion but not his sound bite. 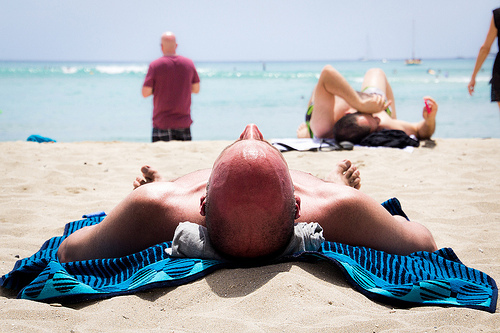 Diet and exercise are in no way like putting sunscreen on a melanoma. Diet and lifestyle change alone works for many people — even for longer term success, as demonstrated by research such as the National Weight Control Registry. And diet and lifestyle change are necessary even with weight loss drugs, or there is no chance of longer term success. So continued focus on behavioral change is vital, even while the pharmaceutical industry looks for additional tools. Bruce, you have a good point. Of course, this metaphor uses a bit of hyperbole to make a point. While it’s a reasonable point to consider, it’s not a literal scientific truth. It’s just a provocative metaphor. It’s a pretty meager showing for a highly-motivated population receiving an Über-Intensive-Lifestyle Intervention. These results should be the starting point for a broad re-assessment of behavioral lifestyle interventions.